Breathe in through your nose and out through your mouth as you find a comfortable position, close your eyes breathing deeply once more, allow your body to relax, each exhale serves to release the tension in your body. Breathe deeper still as you sink into yourself…. You begin your journey lying peacefully in an open plain, the wind begins to blow, and suddenly the world turns black. You find yourself at the foot of a giant mountain. Looking up you see the stars above you, it is night-time in this place. You begin to make your way up the side of the mountain. Breathing in the sites before you, for this world is not your own. You find yourself at the entrance to a cave, the wind blows forcefully through you and into the mouth of the cavern. “Enter, and know the Truth,” says a Voice from within the mountain. You begin to make your way into the mountainside cave. The entrance is long and windy, and you no longer know if you are going up or down. As you make your way to the end, a cavern opens up before you. The ceiling is high and the floor rough, but warm. In front of you stands a pedestal holding a single flame that illuminates the room. To your left there is a hidden hot spring, to the right an opening that leads to a tunnel that runs both upwards and downwards, the air blowing through here is clean and strong and it ventilates the entire room. There is a subtle fragrance in the air that permeates the cavern and there are hundreds of cave entrances along the walls. You stand in silence at the center of the room, allowing the atmosphere to settle. Breathing deep of the fragrance and allowing yourself to sink deeper into this space. Allow your mind to open and free itself of any expectations, see the space for what it truly is and thank the dragons for inviting you into their homes. When you are ready state your intent loudly and clearly, allow some time to pass before inviting them into your presence, and when you do…just breathe. When your dragon arrives, thank them for their presence, allow them to feel you, smell you and look at you. Feel no fear and breathe deeper still. What does your dragon look like? How do they smell, are they small, or large? Whatever it be that arises, let them see YOU. When you are done, ask if they are willing to share their name with you, and wait. Remember to breathe and know that as long as you are there you are building a connection to you dragon. 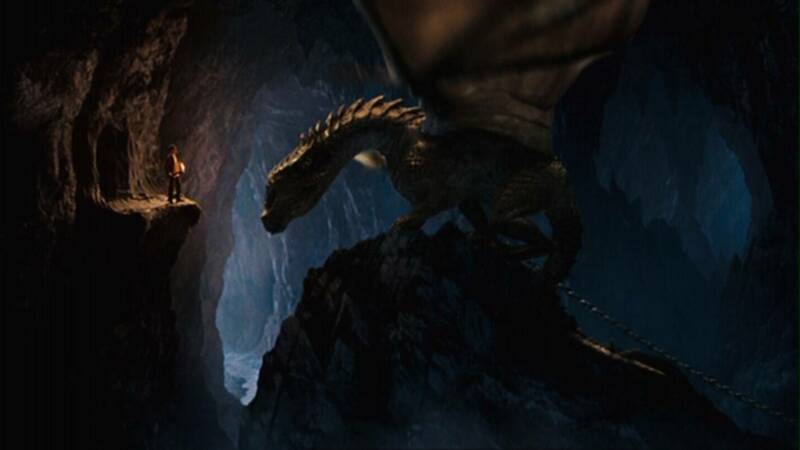 After you have introduced yourselves allow your dragon to show you their home within the cavern, ask them questions and give them time to answer, ask then to give you an indication if they find something to be unacceptable, remember, you are building a relationship based on trust and mutual respect. If they ask something of you, answer honestly. When the time is right, and you are ready, say your farewells and thank your dragon once more for inviting you into their sacred space, if you made any promises, assure them that you will remember to keep them. Allow them time to depart before taking your leave and make your way out of the cavern into the winding tunnel, relish in your encounter and let that serve as your driving force as you make your way out of the cave. As you head back down the mountain side you look up to see the sun rising swiftly, and get one last look at your dragon along the horizon. The wind begins to blow strongly once more and your vision goes black, you awake in your own body, refreshed and clear. When you are ready, take a nice deep breath, open your eyes, and don’t forget to smile.